UPDATE (Saturday, 11:30 am): Feel free to add Tim Tebow’s release and likely end to his NFL career to the list of horrible things this offseason. I’ve never thought Tebow would succeed in the NFL but if his release an hour before the opening game’s kickoff isn’t an omen, nothing is. When Luke Skywalker utters those words in the original Star Wars, little did we know a meme had been created. Han Solo says a similar phrase later in the movie and at least one character does in the two subsequent films (NOTE: there were only three Star Wars movies, that’s not debatable). That phrase and that feeling Luke had have settled with me as this season has approached. 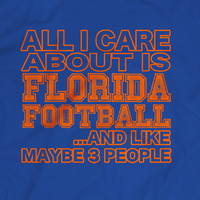 The bad mojo around Gator Nation has been piling up the past few months. It began with Aaron Hernandez. Riley Cooper became a national name. Antonio Morrison was arrested twice, the second time for barking at a police dog, a story so nonsensical you could only laugh. Stories about guns, drugs, murders and racists made Gainesville seem like the worst place in the world. Of course the bad deeds of former Gators have no impact on this year’s team, but they certainly got the ball rolling the wrong way. Morrison was suspended for two one game. The injuries started to mount. Andre Debose, Matt Rolin and Chaz Green go down. Jon Halapio tears a pectoral muscle. Matt Jones comes down with a mysterious viral infection. 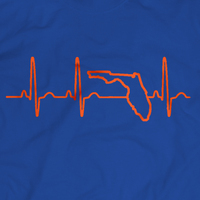 Jeff Driskel’s appendix bursts. To say it was a rough summer to be a Gator does these past months no justice. The way Gators were going down, I feared leaving my house at times. When the news broke on Friday that five more Gators, including the versatile and super-hyped Loucheiz Purifoy, were suspended for the opener, bad mojo had just about broken Gator Nation. Now with the season opener just hours away, can the Gators wipe away all the noise? Can they overcome the loss of so many key players in the first game against a very decent MAC team? Vegas doesn’t think so. As Adam at OGGOA pointed out, after the suspensions were announced, the spread went from Florida -23.5 to Florida -23.5. But if you’ve read many spread picks columns this week, you know that many feel Toledo is the best bet of the week. Even if Florida handles business in the opener, the season outlook is cloudy because of the absolutely brutal schedule. Others have done deeper and more exhaustive reviews of the schedule and team outlook so I won’t waste typeface doing one here. But needless to say, there are many others in the SEC, and certainly across the country, with much easier paths to Atlanta and Los Angeles. Of course the good news in all this is the way things ended for Luke, Han and the Rebels as they combined to ultimately blow up the Death Star and save the Galaxy. Sure they lost Obi Wan, Uncle Owen and Aunt Beru along the way. Alderaan was blown to smithereens. And our heroes barely escaped a trash compactor. Jeff Driskel as Luke, Will Muschamp as Han and of course Nick Saban and Alabama as Darth Vader and the Empire? Seems like a longshot but if a kid from the desert who bulls-eyed womp rats can shot a proton torpedo into an exhaust vent and blow up the ultimate power in the universe… May the Force be with Gator Nation starting Saturday. Because we’re a (mostly) college football (sort of) blog, it is mandated we have to do a preseason Top 25. But because preseason polls are as accurate and useful as the advice the drunk at the end of the bar hands out, we take these about as seriously as we take ACC football. So here’s our really smart, really mathematical, 100 percent correct scientific hypothesis of how college football’s 25 best teams should be ranked. Have you seen their schedules? There might be five tough games between the three of them. We’re calling it: those three teams are running the table this year. The good news is CFB is back, the bad news is we have to put up with “analysis” that rips Jadeveon Clowney because he didn’t record 10 sacks and decapitate a RB. I could lump them in with the easy schedule guys up top but we know Pac-12 teams always lose one game they shouldn’t. That was the explosive offenses, shaky defenses portion of the poll. Never believe the hype. Never. The rest of OTB probably doesn’t agree but I’m being realistic. I’m all in on the Will Muschamp era. I think the program is in great shape and headed back toward consistent national relevancy. Just not this year. In an era of unbalanced schedules that result in the likes of Alabama and Ohio State having two tough games this season, the Gators once again run through a gauntlet that is one of the toughest in the country. If they survive with only three losses, this season would be a huge success. On offense, I think the passing game will be much improved and the run game strong yet again. On defense, the young front seven will be gashed at times. And given Muschamp’s style means every game (and I do mean EVERY) will be decided in the fourth quarter, the player they’ll miss the most from last season will be Caleb Sturgis. Here’s to an 8-4 season that will set the foundation for what promises to be a dominant team in 2014 (of course with an even tougher schedule). The quest to put 10 SEC teams in the poll fails at six. This entry was posted in Uncategorized and tagged Florida Gators, Jadeveon Clowney, Jeff Driskel, Luke Skywalker, mojo, Nick Saban, Star Wars, suspensions, Toledo, Top 25. Bookmark the permalink.